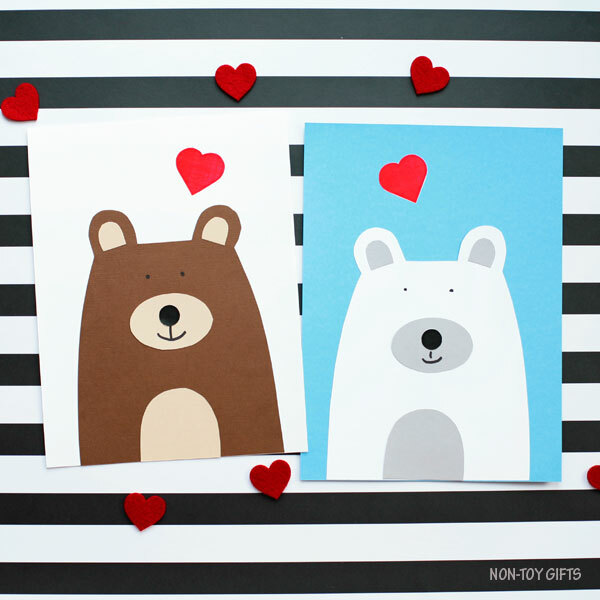 This cute Valentine bear craft will make you say : “I love you beary much!”. 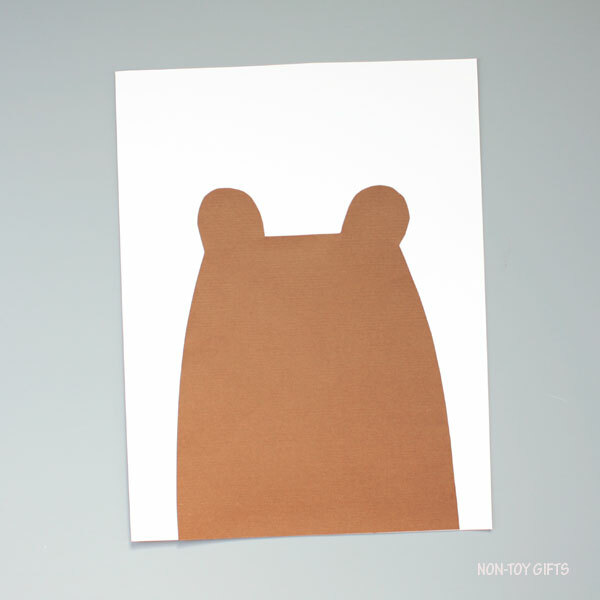 You can use the template available to make either a brown bear or a polar bear. 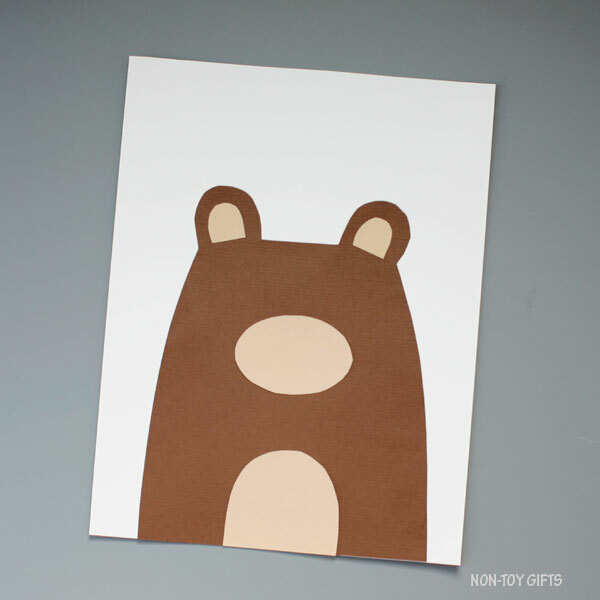 We still have plenty of snow here in Minnesota so when I think of bears, my mind takes me to polar bears, but you can chose to make a brown bear. 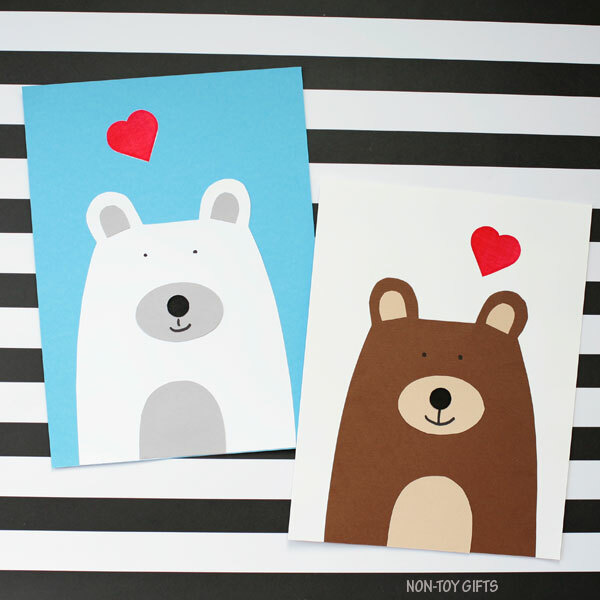 Either way, your bear will be a cutie. 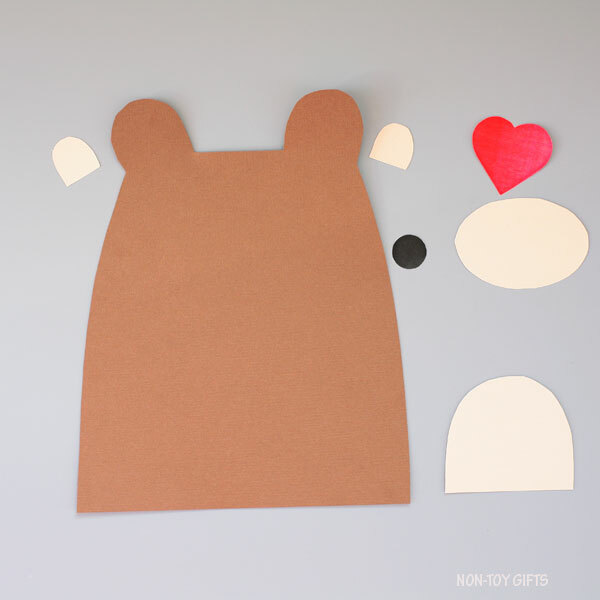 Our heart bear will join the rest of the polar bears but it will also be a nice addition to our Valentine crafts. 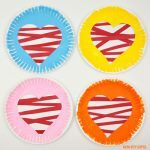 If your kids are working on their scissors cutting skills, this craft will be of good help. It’s all about cutting and gluing. 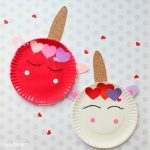 This makes it a great classroom Valentine craft and also a fun home craft to make with mom or dad. 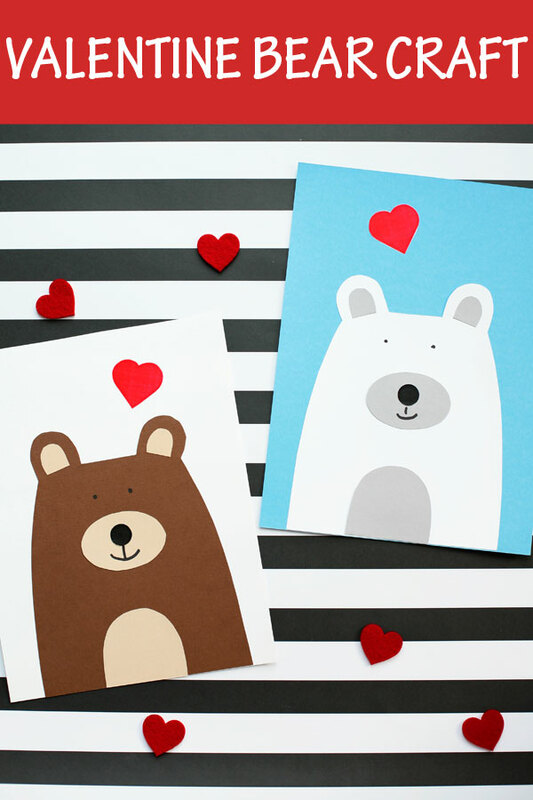 Glue the heart anywhere on the paper, on the bear or above its head. 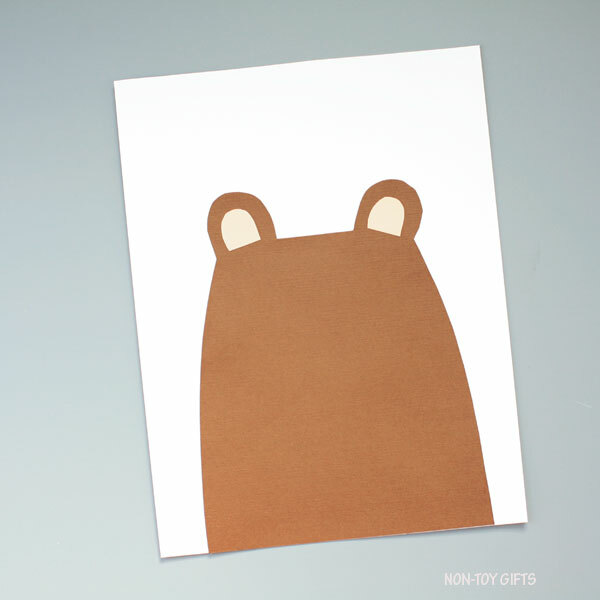 And if your kid is willing to also practice his/her writing, add the “I love your beary much!”. 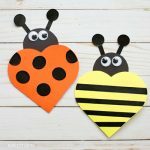 For more easy craft ideas for kids, make sure to check out our collection of 100+ craft ideas. 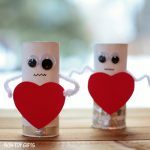 They are organized by season and holiday to make it simple for you to browse and pick your favorites. 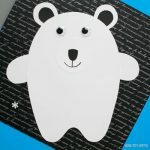 -polar bear : 1 white body, 2 gray ear details, 1 gray muzzle, 1 gray tummy, 1 black nose and 1 red heart. 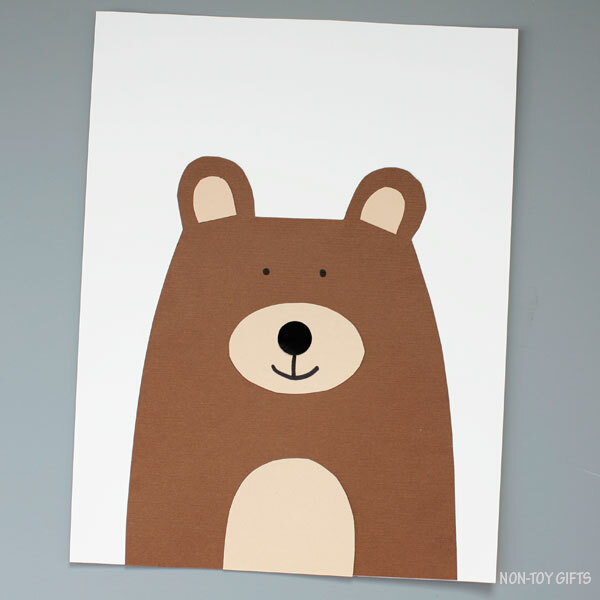 – brown bear: 1 brown body, 2 light brown ear details, 1 light brown muzzle, 1 light brown tummy, 1 black nose and 1 red heart. 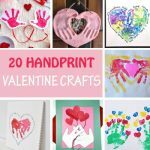 Start by gluing the body at the bottom of a card stock paper. Add the ear details, one for each ear. Glue the muzzle onto the body. The tummy goes at the bottom of the body, right in the middle. Add the nose in the middle of the muzzle. Use a black marker to draw two small eyes and the mouth. 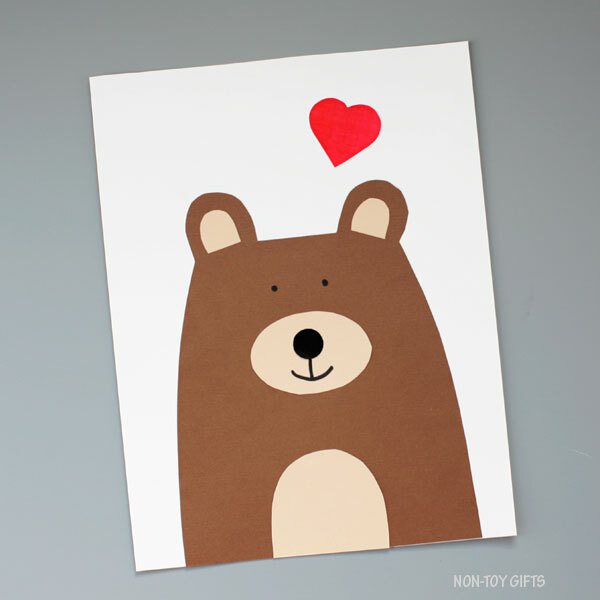 Glue the heart on the card stock paper, above the bear. Print the classroom template on corresponding colored paper. 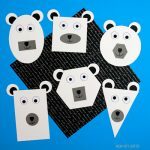 If you are planning to create the polar bear: the body is printed on white paper, the ear details, muzzle and tummy are printed on gray paper, the heart is on white paper. For the nose you have the option to either print it on white paper (the black nose pattern) or on white paper (the outline pattern). 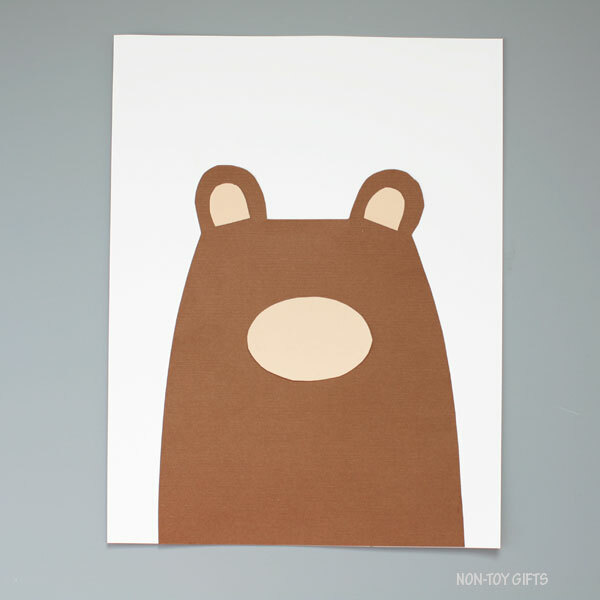 If you are making the brown bear: the body is printed on brown paper, the ear details, muzzle and tummy are printed on light brown paper, the heart is on white paper. 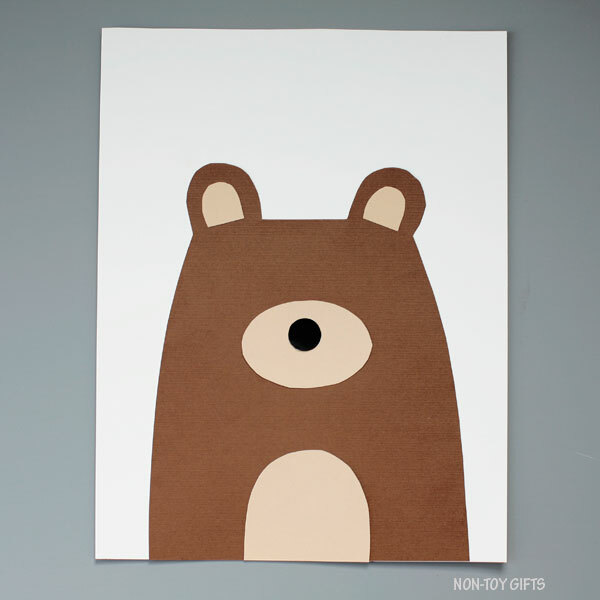 For the nose you have the option to either print it on white paper (the black nose pattern) or on white paper (the outline pattern).